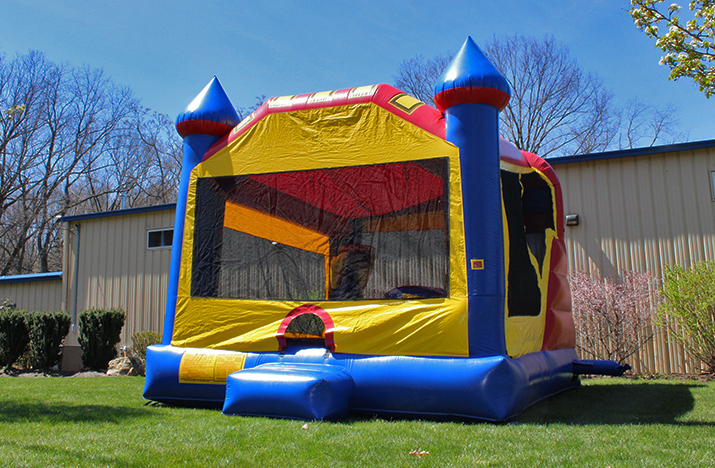 Enjoy endless hours of fun with the unique bounce house combo. This castle themed bounce house combo has a large interior moon jump, a basketball hoop, a climb, and a slide. High-visibility mesh allows you to watch the fun and entertainment provided by the participants. 250 LB Weight Limit!